In the middle of last week, well-known mathematician and physicist Michael Berry paid a visit to Portland State University. On Wednesday he gave a public lecture titled Making Light of Mathematics in which he discussed the intersection of physics and mathematics in the study of waves. 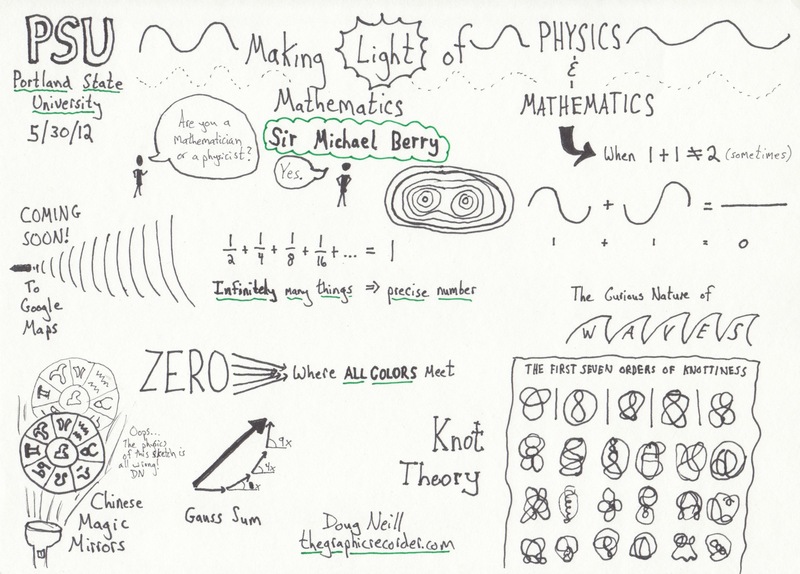 The sketchnotes above record some of the phenomena that Berry discussed, including knot theory, Gauss sums, Chinese magic mirrors, infinite sums and the addition of waves. For more information on these topics, check out Berry’s website.